Jazz Corner [NYC. June 5, 2018].- The eclectic Valencian guitarist Ximo Tebar delighted New York jazz fans at Small´s with his technical mastery, airy, dynamic, intrepid and uplifting. Ximo Tebar’s band has a truly distinguished sound as he mixes sequences of pure jazz with very interesting and luminous arrangements that could easily be classified among the top-tens. The spanish guitarist came to New York to introduce his new release “Con Alma & United” (Warner 2018) in which he does a fusion of his ‘Son Mediterraneo’ and flamenco-latin rhythms applied to famous jazz standards such as “Take Five”, “Caravan” or “Goodbye Pork Pie Hat”, using acoustic and jazzy approach thus demonstrating why he is being compared to the most talented North-American jazz musicians. Ximo landed at Small’s with the set that has been playing with him in recent years. 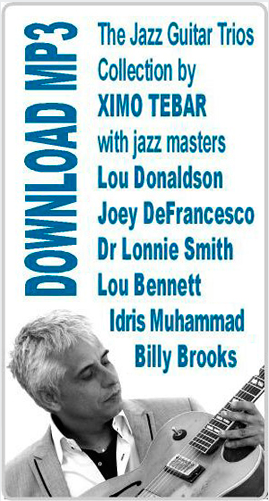 All the band musicians shined brightly, the pianist Jim Ridl, the bassist John Benítez, the drummer Donald Edwards and the Puerto Rican percussionist Fernando García showed their preference for difficult and narrow terrain. Ximo balanced the scale offering the audience a wide range of esthetic choices. 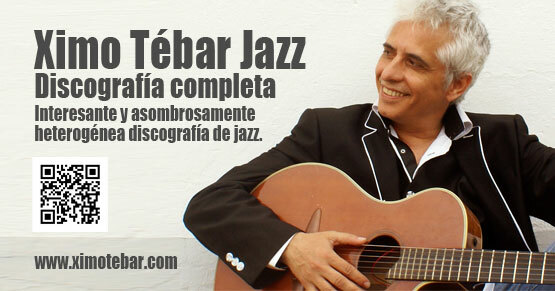 ← [Masterclass] at City College of New York by spanish jazz guitarist Ximo Tebar. All instruments. Tue, May 22, 12pm.